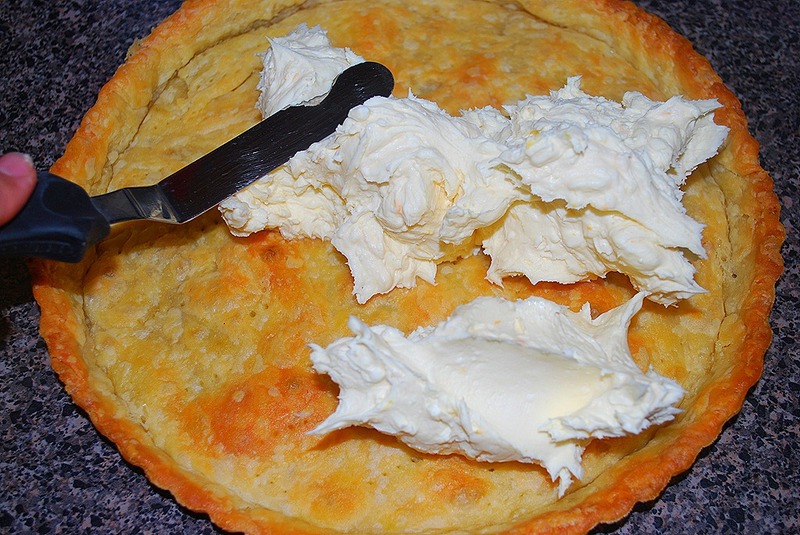 All it takes it some sugar, flour, butter and cream cheese to go from these…. I was searching random blogs one night and ran across this recipe on Simply Recipes. It was one of those nights where I searched one thing and ended up a millions clicks away from where I started. Does everybody do that, or is it just me?!? I can get completely lost looking up recipes of all things. I can’t be the only one that does that, right?? But I digress…back to the yumminess. I wanted to make it before I even read the recipe just because the picture was so beautiful! I thought that it would be way more difficult than it was. It had a lot of steps, but everything was simple. It was easy enough for everyday, but good enough for company. 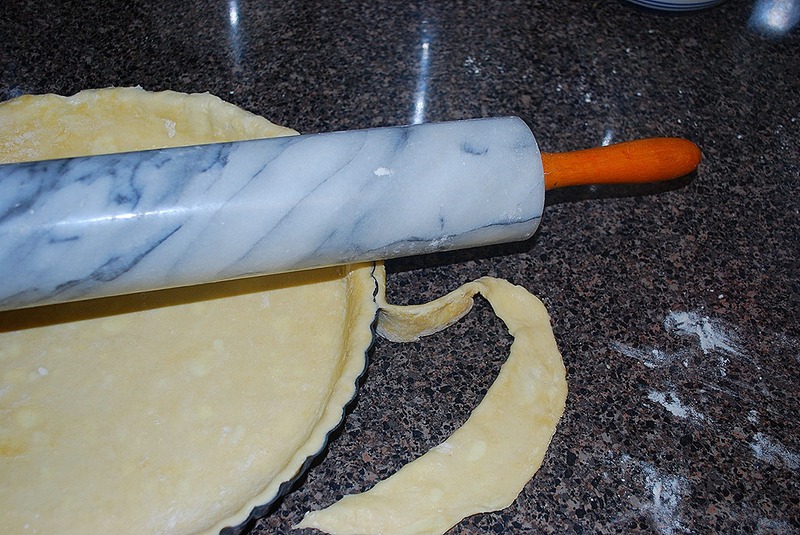 I actually made the dough for the tart a day ahead of time. It needed to chill, so I went ahead and popped it in the fridge overnight. 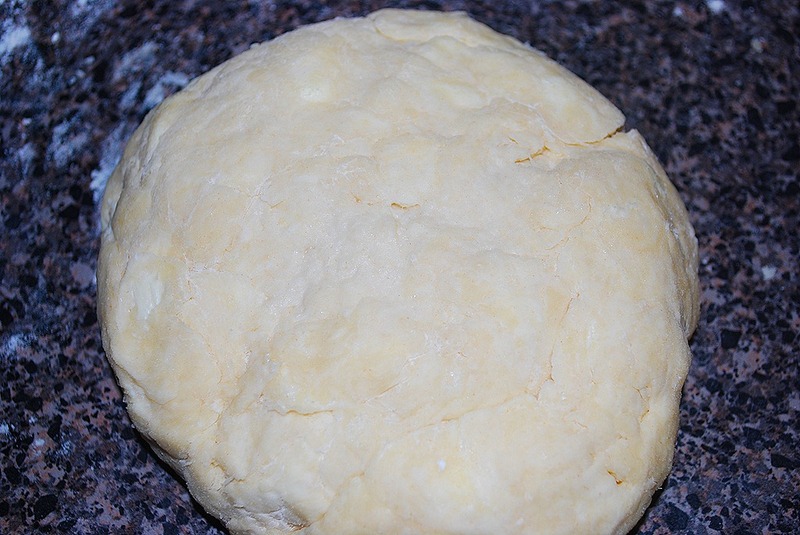 It is your basic all butter pastry dough—flour, butter and cold water. I also had the butter in the freezer overnight. It needs to be super cold when added to the flour. 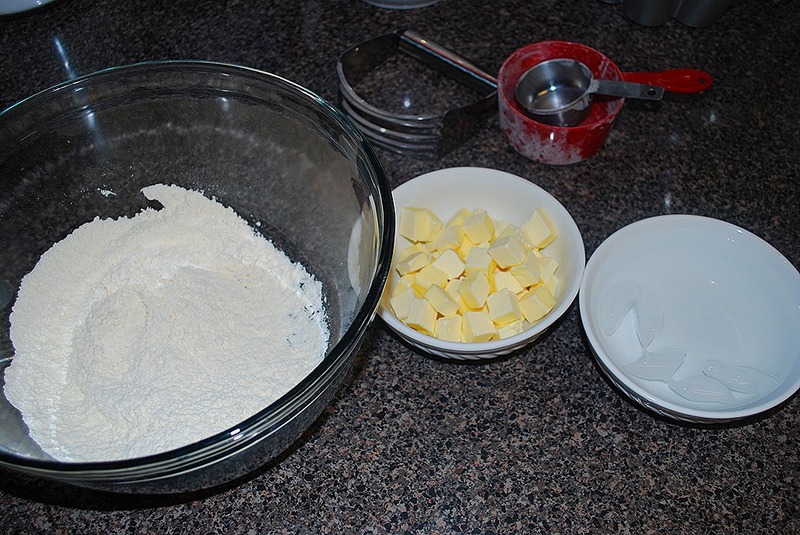 Because the butter was ice cold, I used the pastry cutter to cut it in to the flour. When the butter is in oatmeal size pieces, add enough water to make it all come together. You want it to be a dough ball, but not sticky. And you still want to see specks of butter in the dough. 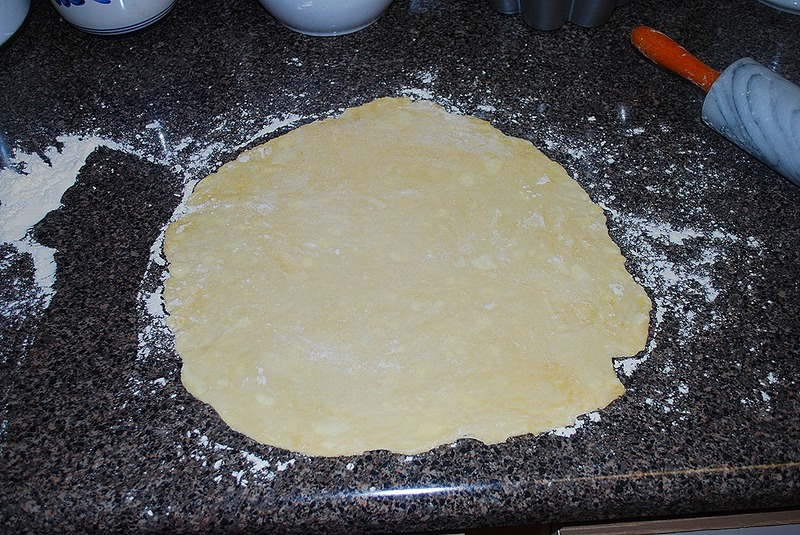 I floured the surface and top of the dough and rolled it out making sure that it was bigger than the tart pan. I was using an 11 inch tart pan for this one. 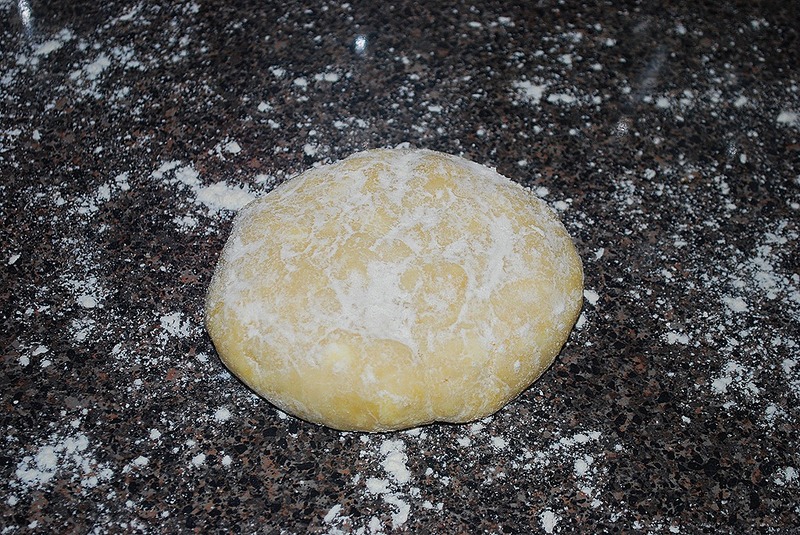 Roll half of the dough on the pin, pick up the rest and place it in the pan. Press the dough to the middle and up the sides. I use the pin and roll it along the top edge of the pan to get the excess off. 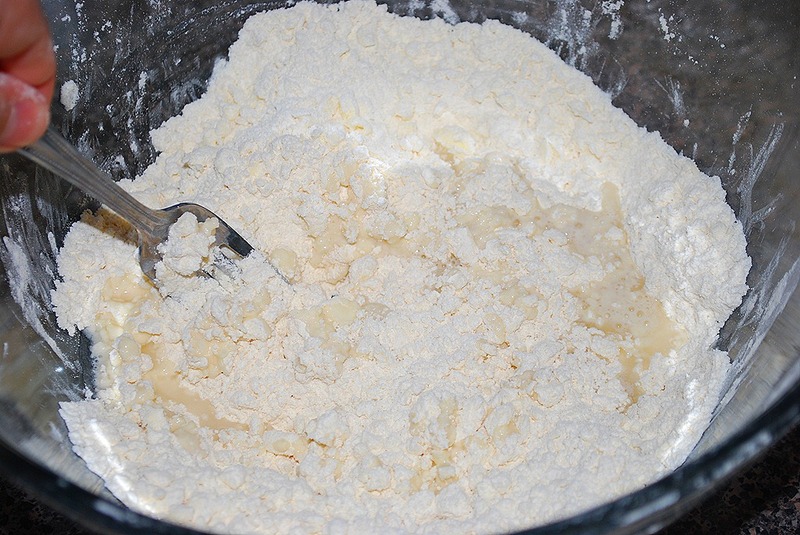 It is a quick trick to get the extra dough off easily. Poke fork holes in it all over and it is ready to bake. Well, almost—it goes in the freezer and then it is ready to bake! 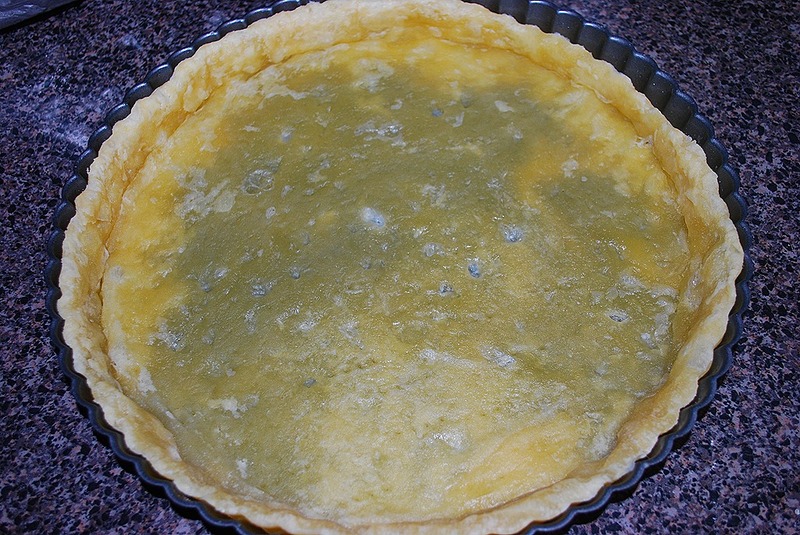 Cover the tart with foil and fill it with pie weights, beans or rice. I must have tossed the bag of beans I use for baking in the move and all I had was rice—it seemed to work just fine. 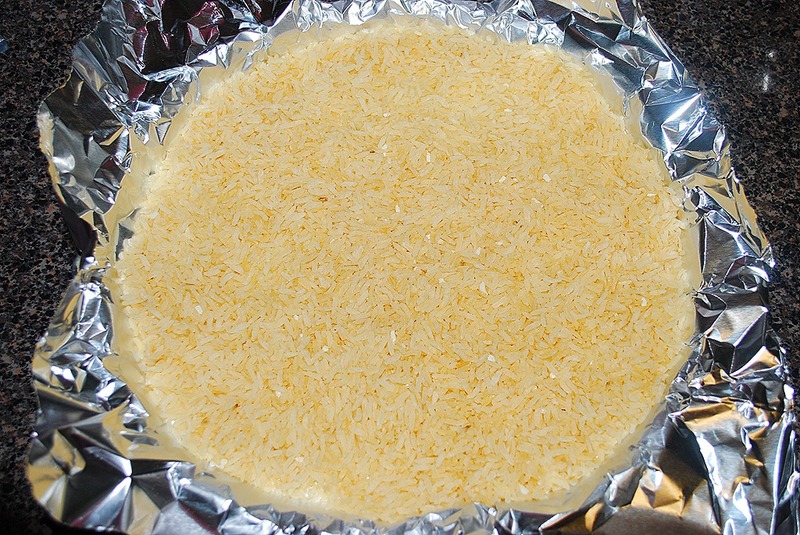 It bakes for about 15 minutes and then the foil come off. You can see that it still looks raw and doughy. That is why it goes back in the oven for about 20 more minutes. My tart shell shrank and goodly amount—not sure why. It was totally fine and a perfect size, so I didn’t mind. 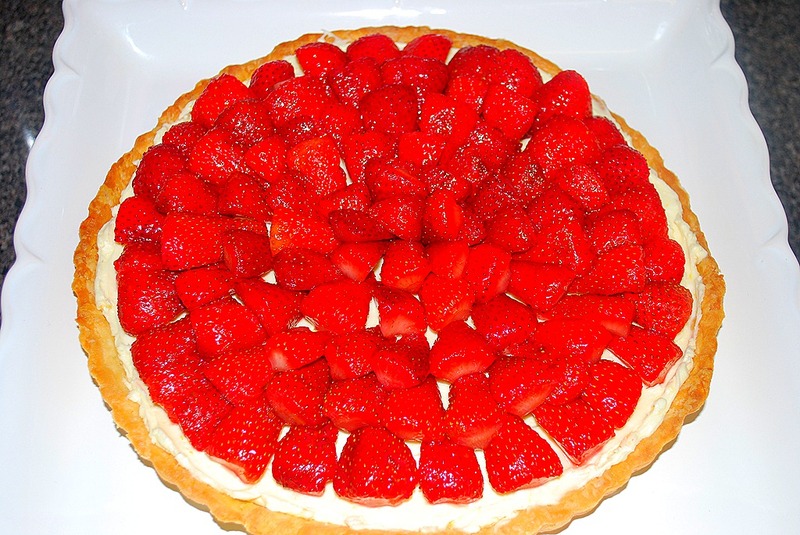 The strawberries were easy to do. 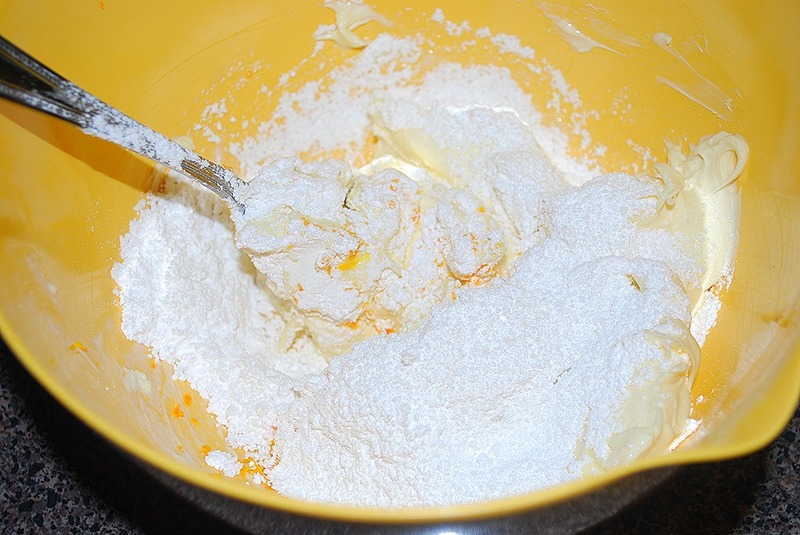 Quarter them and toss with sugar and orange zest. 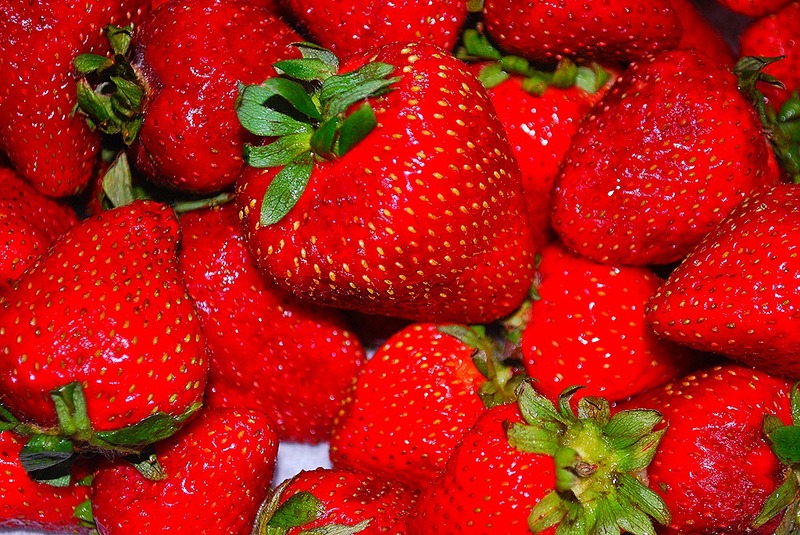 Let them sit so that the juices will come out of the strawberries. 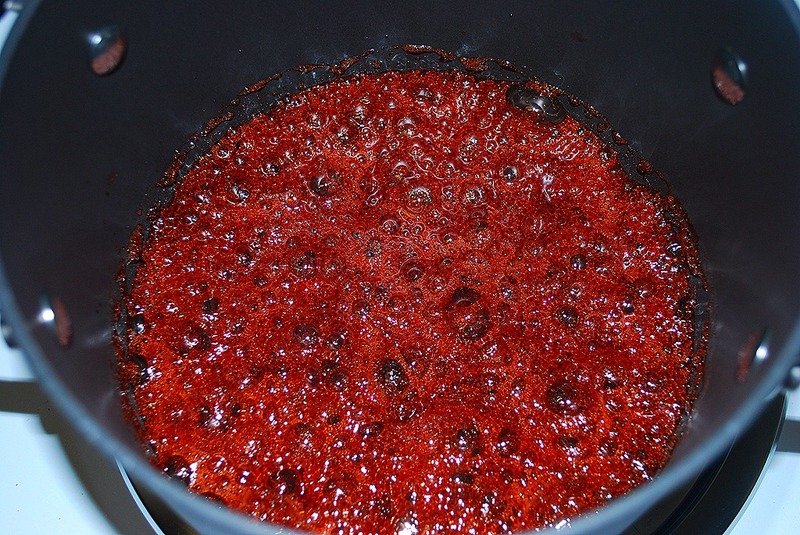 The juice gets strained into a saucepan to be used for a glaze that will go on the top of the finished product. I still don’t know why more things are not covered with mascarpone. It is just delicious. 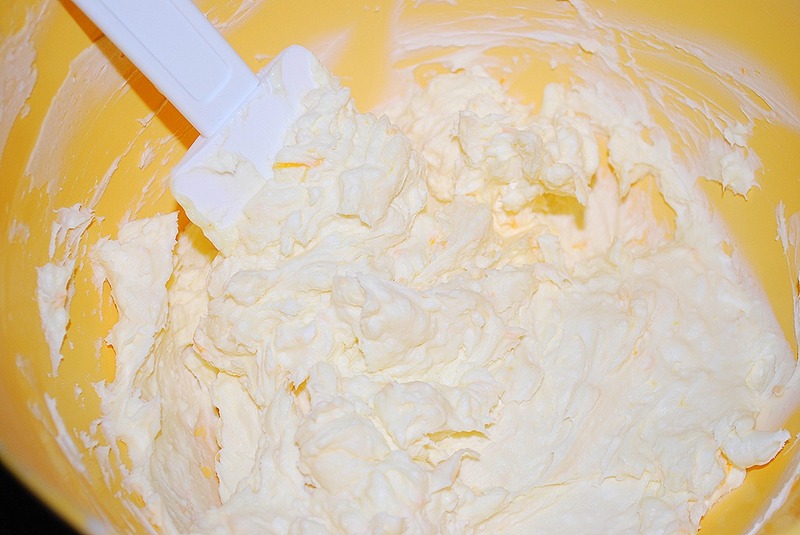 Mix it with cream cheese and sugar and, my oh my…yum. I only had 8 ounces of mascarpone so I added in 4 ounces of cream cheese. 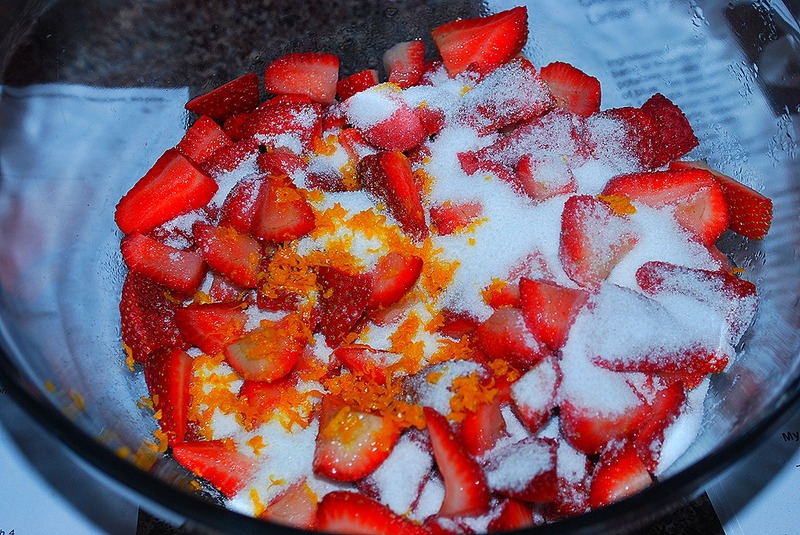 It has powdered sugar and more orange zest and that is it. 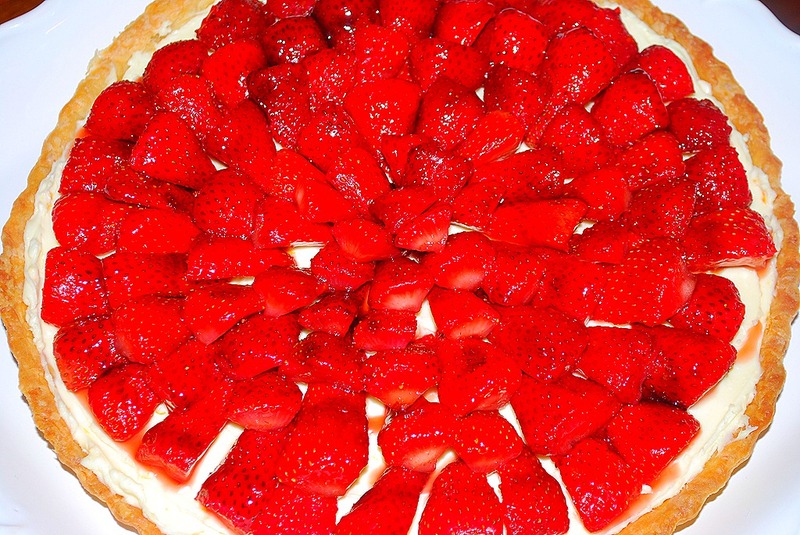 After the tart shell had cooled, I spread it around and filled the shell waiting for the strawberry topping. The cream was so good that I could have just eaten it like it was, but I did have a bowl of strawberries staring at me. 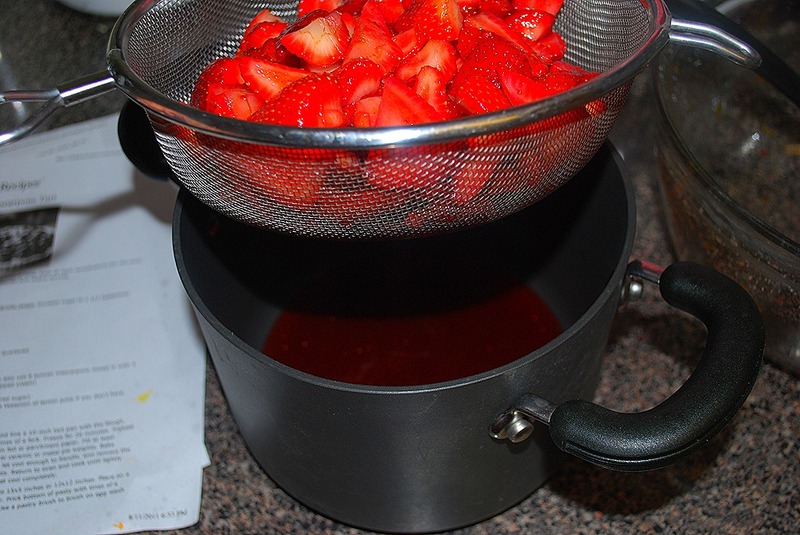 The juice from the strawberries was cooked with some balsamic vinegar. 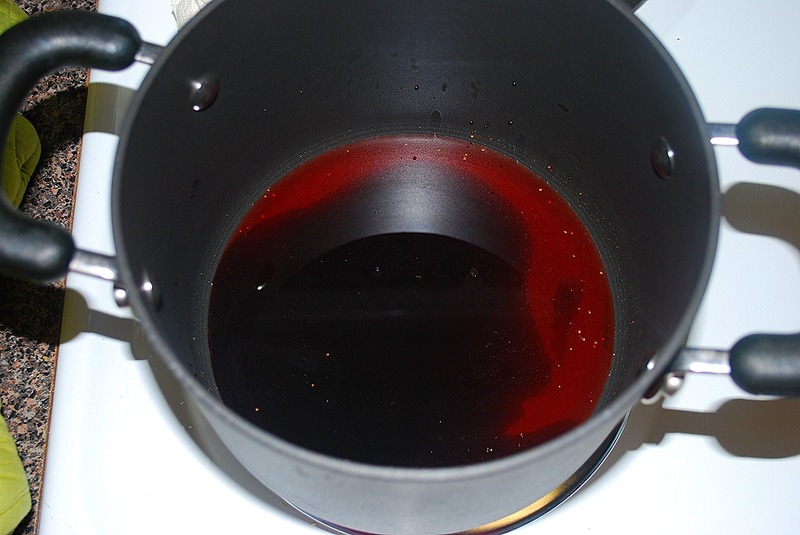 It reduced down and cooked until it was like a syrup. I am not a fan of too much vinegar in things. I think that it can be over powering sometimes. This was super good. 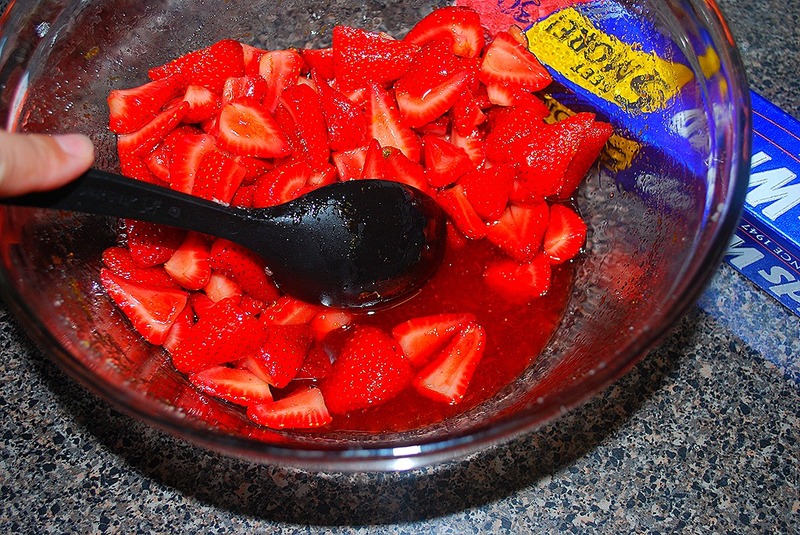 I have always heard people say that balsamic goes great with strawberries and they were right. When it cooled, it was brushed on the tart. 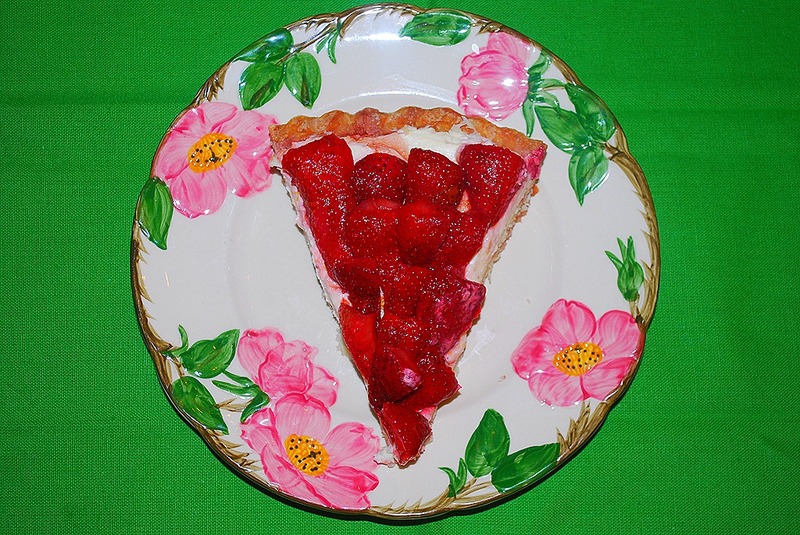 This was a delicious tart. It is perfect for summer. Sometimes desserts can be heavy and super sweet. 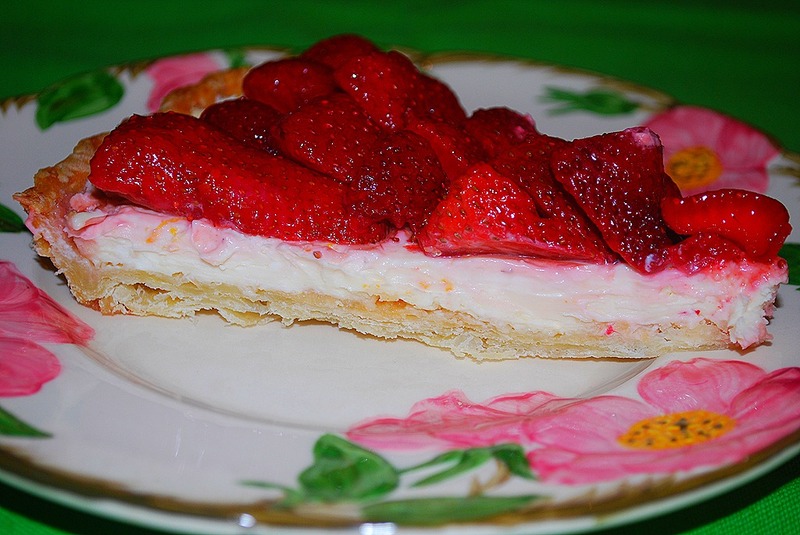 This was light, creamy and perfect for those sweltering summer days that we have all been having. Enjoy!! 1a Using Pie Dough Roll out the pie dough and line a 10-inch tart pan with the dough. Prick the bottom of the shell all over with the tines of a fork. Freeze for 20 minutes. Preheat oven to 375°F. 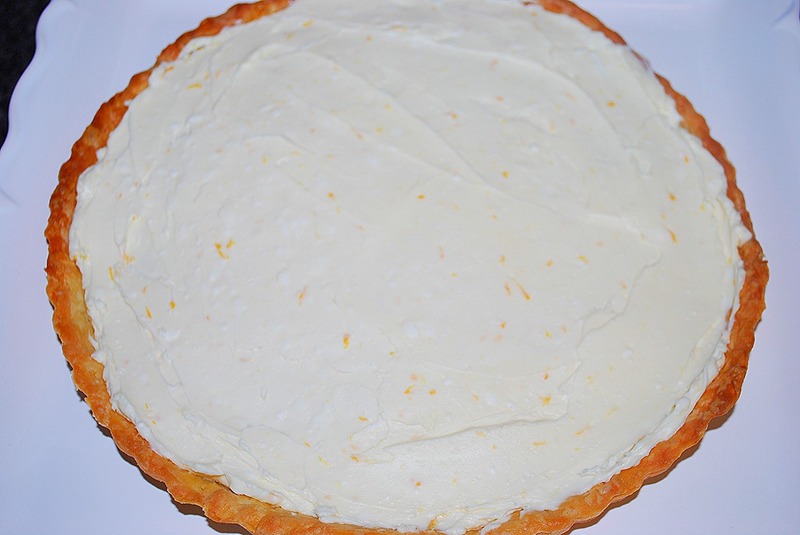 Line the tart shell with aluminum foil or parchment paper. 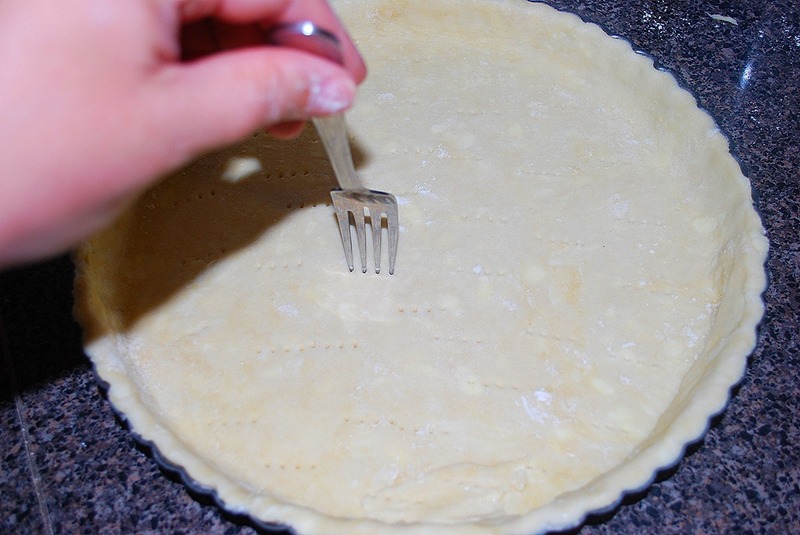 Fill at least two-thirds with pie weights – dried beans, rice, or ceramic or metal pie weights. Bake initially for 15 minutes, then remove from oven, let cool enough to handle, and remove the aluminum foil or parchment paper and pie weights. Return to oven and cook until lightly browned at the edges, about 20 more minutes. Let cool completely. 1b Using Puff Pastry Roll out puff pastry sheet to 15×5 inches or 12×12 inches. Place on a baking sheet. Fold the edges over to form a border. Prick bottom of pasty with tines of a fork. Chill for 20 minutes. Preheat oven to 400°F. 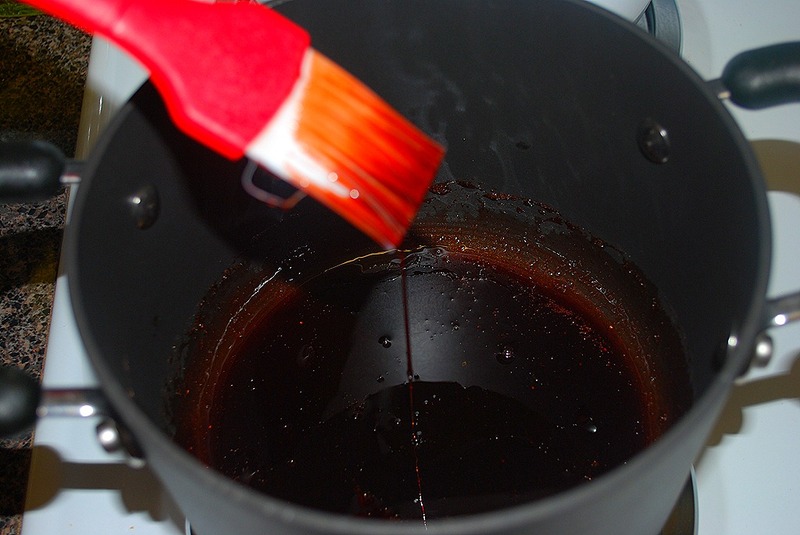 Use a pastry brush to brush on egg wash over exposed surfaces. Place in hot oven and cook until nicely browned all over, about 15 minutes. Remove from oven to a rack, let cool completely.